Time machine by default wil take a backup of changed files evey hour but perhaps you want to change that into something a little more manageable or leave it for when you aren’t working on your main systems. 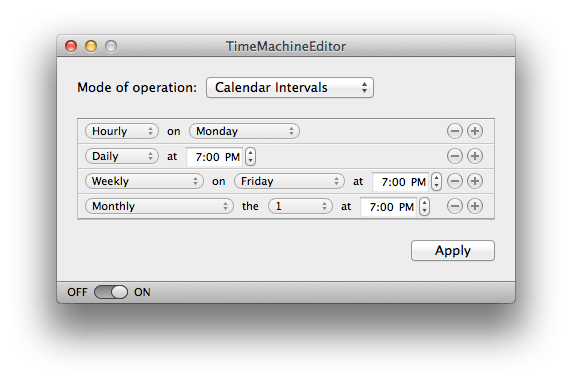 TimeMachineEditor 4.0.2 will let you schedule the backups without making any system changes. From the website. TimeMachineEditor does not modify existing system files at all. Instead it handles its own scheduling to trigger Time Machine backups when you want them to occur. 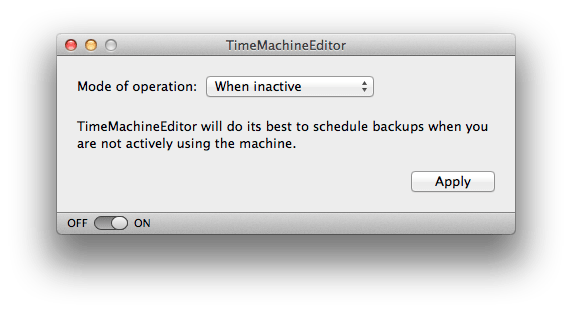 TimeMachineEditor also has its own ON / OFF switch that lets you enable / disable automatic backups. There you go, it’s that simple. Just head over to timesoftware.free.fr for a free version of the software thats unrestricted. but one of the best features is that backups can happen only when the machine isnt being used. Next Next post: Edifier Updates Exclaim! Edifier e10 Exclaim now features Bluetooth!